The Cleveland Indians look to open up the Central Division lead Tuesday over Minnesota as they open up their second to the last homestand of the season against the Twins at Progressive Field. The Indians come into the game with a 74-56 record, the same record that they had incidentally at this mark in 2017, when they were five games into their record 22-game winning streak. The difference was their lead at that time was only seven games not the 13 game lead that they enjoy today. Attendance heading into Tuesday's game is 1,500,654 for an average of 24,204 a game, good enough for 21st in the league but behind last year's average of 25,285. The year got off to a slow start when T.S. Eliot was proven right that April is the cruelest month. 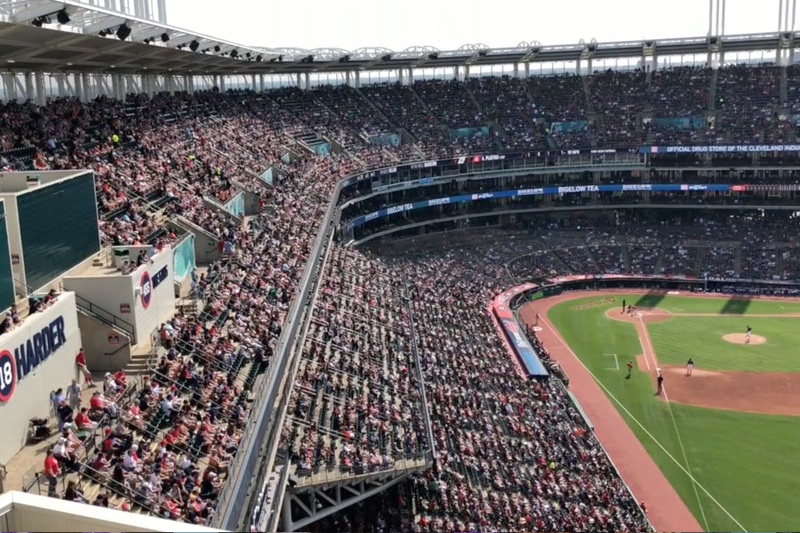 "17 home games, one of the coldest months in the City of Cleveland," said Indians Senior Communications Director Curtis Danburg of the record-breaking cold. "We've been able to catch up, we've had great attendance, summer weekends especially Fridays and Saturdays have been sold out all summer." "We're projecting to get over two million fans for the first time since '07-'08 when we had back to back years of over 2 million fan," he said. 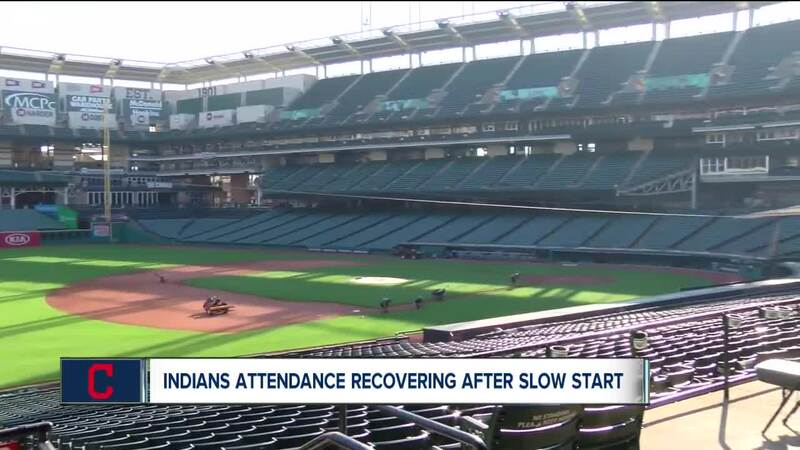 With 18 of the final 32 games in the regular season at home, the Tribe is removing a ticket barrier this week." "Until Thursday at midnight is our final "fee free" promotion," said Danburg. "If you go on to Indians.com you don't have to pay any convenience or service fees for any of the games this weekend and next week."